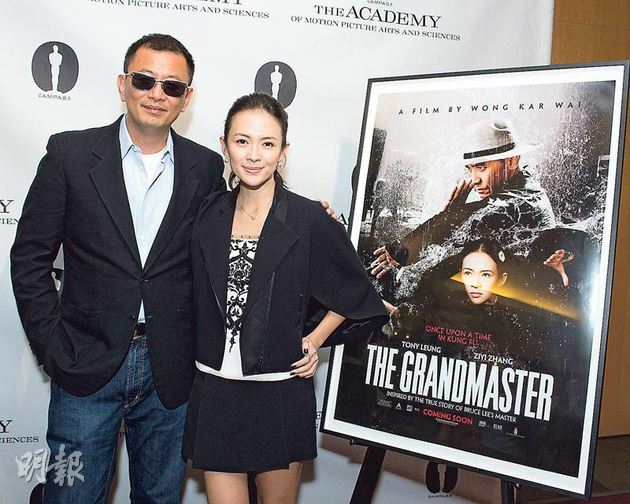 On the 20th July, “The Grandmaster” held its US premiere at the Comic-Con International in San Diego, California with director Wong Kar-wai in attendance. A new featurette for ‘The Grandmaster‘ has just been released showing the work of French studio BUF, the VFX group behind the atmospherics in the film. 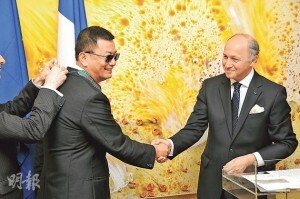 Acclaimed director Wong Kar-Wai was saluted with France’s highest cultural honour on Sunday in celebration of his lengthy career. Having already received the National Order of the Legion of Honour, he was awarded the Ordre des Arts et des Lettres (Commander of France’s Order of Arts and Letters). Yesterday he accepted the honour with his wife from the French Foreign Affairs minister Laurent Fabius. He was so happy that he kissed his wife on the cheek twice. 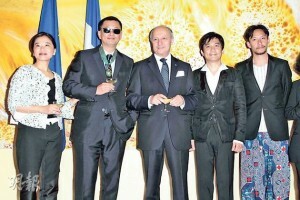 Actors Tony Leung Chiu-wai, Chang Chen and other company employees congratulated him. 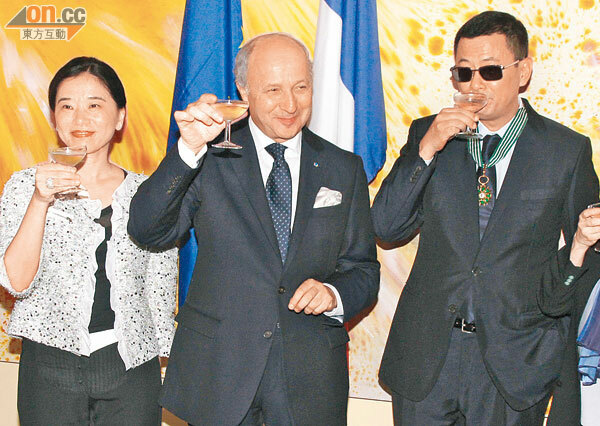 Laurent Fabius said that Wong Kar-wai has brought Hong Kong culture to France. His influence has been recognized and planted in the hearts of the French people. 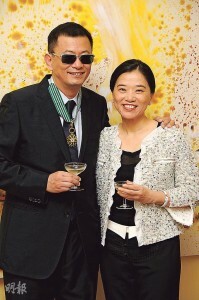 Wong Kar-wai said, “I am very happy, this is a type of recognition and support for my team and Hong Kong film. My wife will take care of the honour, I am used to handing over everything to my wife.” He had no intention of emmigrating to France due to the high tax rate. 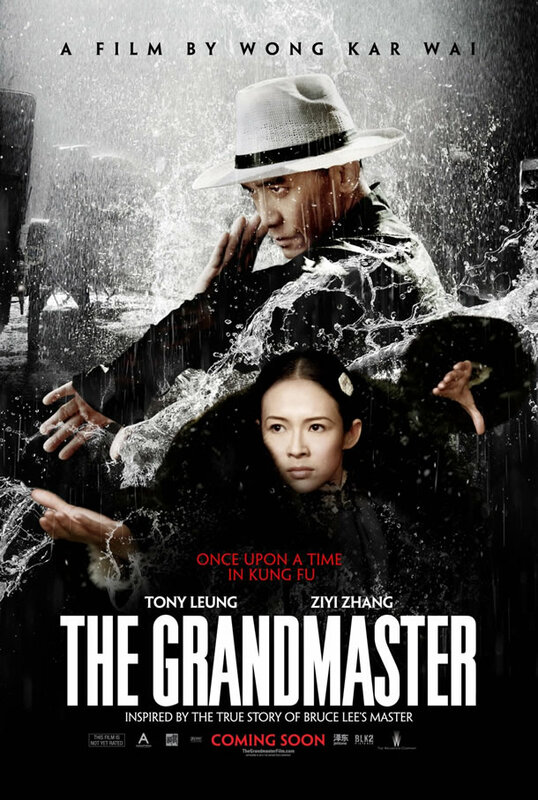 The new US trailer for Wong Kar-wai’s “The Grandmaster” has finally been released, complete with annoying voiceover. The film will finally be released in America on August 23. 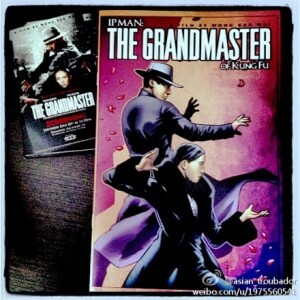 The 130-minute version of “The Grandmaster” will be released on DVD and Blu-ray in China on April 23rd. Meanwhile, The Weinstein Company has revealed that the international version of “The Grandmaster” (now retitled as “Grandmasters“) will be in US cinemas on August 23rd. “The Grandmaster” will be in French theaters on April 17th. The film premiered in Berlin and received a 10 minute applause after the show. Wong Kar-wai cut a special “Berlin version” with 20 differences from the China and Hong Kong version. The film was about 10 minutes shorter. Because some foreign media did not understand the historical backdrop, some reviews said that it “cannot surpass In The Mood For Love“. The Berlin Film Festival version of ‘The Grandmaster’ mainly added three important scenes and some subtitles that explained the historical background. Some of the subplots with an unclear relationship to the main plot were removed or replaced. The most notable addition that was not in the China and Hong Kong version was how Chang Chen‘s Yi Xiantian and Zhang Ziyi’s Gong Er met and their relationship. After Gong Er saved Yi Xiantian on the train, they later ran into each other at a Hong Kong restaurant named Old Muslim but did not acknowledge each other. Their reunion gave Yi Xiantian the motivation to stay in Hong Kong, which was easier to comprehend for the audience. Another addition was the rainy night fight scene with Ip Man and Yi Xiantian. The story became more intense and made people’s blood boiled. This scene caught Gong Yutian’s eyes. 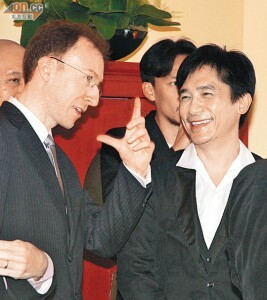 He praised Ip Man’s kung fu abilities and after asking others he learned that the fighter was the Invincible in Foshan Ip Man. Other addition scenes included a young Bruce Lee staring at Ip Man from the school, Ip Man teaching Bruce Lee martial arts and Ip man’s ferocious fight with Cung Le. Ip Man’s challenge in Hong Kong to Ding Lianshan (Zhao Benshan) was removed. 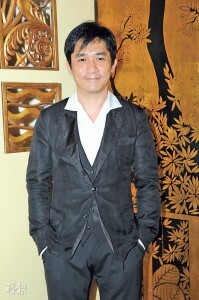 Tony Leung did not feel that his scenes were removed, the most important was for the audience to accept the pace of the story. “I don’t mind the changes in the different versions, the most important is for the story to make sense.” Although Wong Kar Wai earlier was busy with ‘The Grandmaster‘s promotion, in a short month he was able to make even better changes. The mastery of his craft truly left people speechless.